Happy Monday! I hope everyone had a wonderful weekend, my weekend was pretty low key. We didn't do much. If you follow me on Snapchat. I did some spring cleaning. I have a ton of shoes that I'm going to sell/donate/giveaway. When I was younger I was such a shoe addict. I would pretty much buy every shoe if it were my size and even purchase a few hoping that they would run larger. Which usually ended up in an epic fail. Now I just want a couple of pairs of shoes. Not sure if it's because of getting older or what. But I defiantly would love a minimalistic wardrobe in a sense. Once I became a blogger, I developed a love for clothing. learning trends and I also really blossomed with my love for vintage clothing. During my weight loss journey, it was really easy to part ways with a lot of the clothing that I prior had because I couldn't fit it anymore. However, I still have a long way to go with just letting go of those items. Not sure why it's so hard for me to let go of stuff. I did so well last year and I still have a lot to do this year. I have an idea in mind of how many shoes that I want to own so I'll defiantly keep you guys updated on the process. This weeks menu plan is going to be pretty simple. I haven't tried a new dinner recipe in a while. So I'm looking forward to making something that the family will be in love with. However, I did create a vegan chocolate vinegar cake that was so yummy and healthy. No sugars, flours or oils. I stumbled on a post from another blog I read and I did some research and found that vinegar cakes are actually common. Can't wait to share the recipe with you guys. I currently don't have anything planned for Easter. Will most likely visit family. Mmmmm - meatloaf! It sounds like you are going to be eating good this week. I love seeing what other people eat for dinner! You have some yummy and healthy meal options there. Might have to try some meal planning myself - I'm so awful at not planning things in advance. I like how the mister takes over on the weekend. Your meal plan sound delicious. We meal plan as well saves us time and money. I like that you have variety in your meal plan and it looks all like a treat. It's also nice that you leave two days for the Mister to plan the meals. Wednesday's dinner sounds absolutely delicious and totally something I would love to have! Loving how your weekend is looking and how it's totally up to the mister! I love meal planning, it saves me lots of time, money and energy. It sounds like you have some tasty meals lined up. This sounds like a tasty week! We're also doing spaghetti at some point. Today I'm making Sloppy Joe's thanks to Manwich! I love that the Mister has his own menu to cook as well. Those menu sounds great! 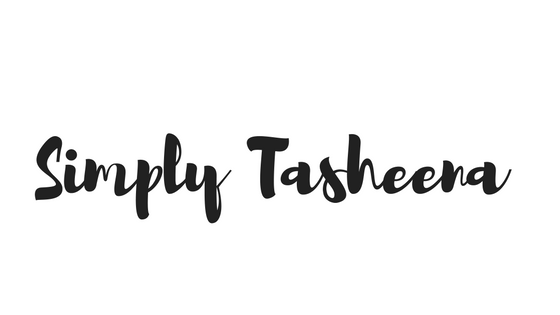 I need to get better with meal planning, it would simplify our evenings so much! Your meals for the week sound so good! I'm trying to decide which day I want to come over for dinner. Your menu looks pretty good. I've been cooking more and more with our Instant Pot and Air Fryer and it helping us save time and money. I haven't tried meal planning yet. However, the last month or so we have been trying new recipes. We were burned out on the frozen food most nights. I use my crockpot when I can. I make a three pound bag of chicken and I am able to make two meals using the shredded chicken. It makes prepping and cooking a homemade meal easier. I use shredded chicken in several different casseroles or meals. Having a weekly menu is a really good idea. Because it saves the hassles of racking your brains, thinking on what to have for lunch or dinner. I really need to be better about sticking to a menu each week! I think it really helps budget and stress! Love everything on your menu plan! I love fried fish, my mom used to make fried fish with tasty dipping sauce everyday. 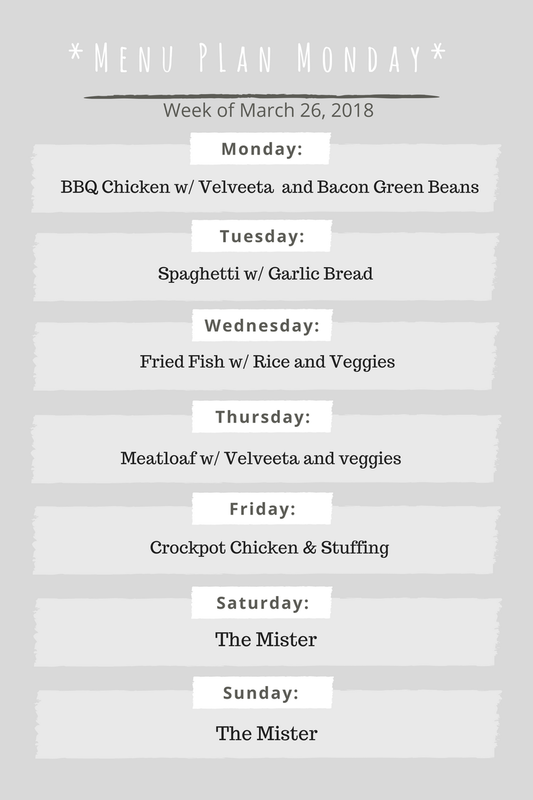 Wow, very nice weekly menu plan. Now I got an idea, why not planning mine too. Probably after the lenten season I will try to do the same.